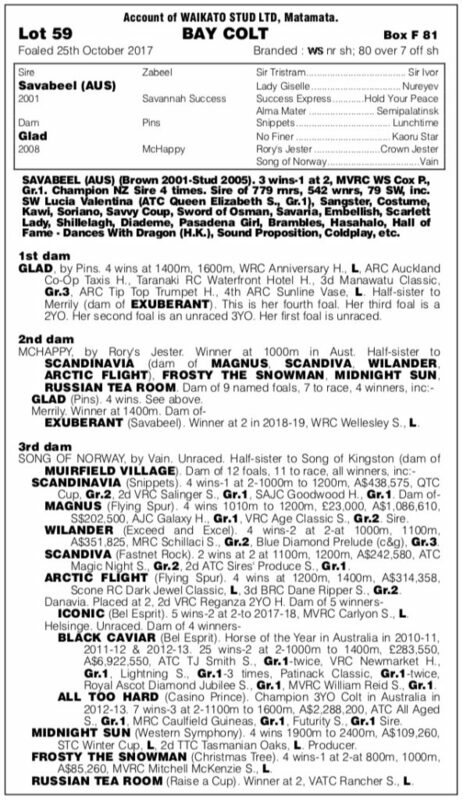 A terrific Waikato Stud product by their four time champion sire Savabeel (Zabeel) from a mare that Te Akau trained to win four races, including the Anniversary Handicap (Listed, 1400m), and a Group Three third in the Manawatu Classic (2000m). Her grand-dam, Mchappy (Rory’s Jester), was a two-year-old winner over 1000 metres in Australia, while the unraced Helsinge (Desert Sun), from his third dam Song of Norway (Vain) is the dam of legendary Hall of Fame mare Black Caviar (Bel Esprit) – unbeaten in 25 starts. “He’s a strongly proportioned colt with plenty of quality about him,” said Te Akau principal David Ellis. 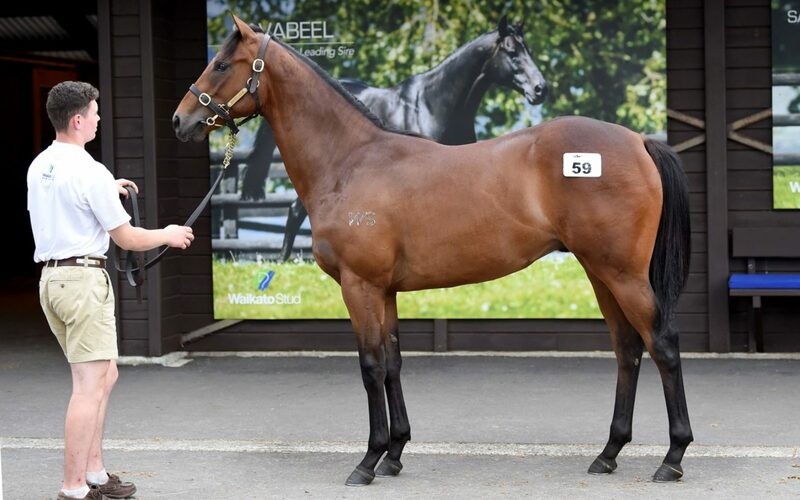 Ellis said the colt reminded him of Aotea Lad, another son of Savabeel that performed very well for second to stable-mate Probabeel (Savabeel) in the Karaka Million on 26 January at Ellerslie.